Hartford, CT - The Hartford Yard Goats (16-12) snapped a 6-6 tie with three runs in the eighth inning and defeated the Portland Sea Dogs (7-17), 9-6, Saturday night at Dunkin' Donuts Park. Portland has lost four straight and eight in a row on the road. Hartford has won a franchise-record ten straight home games. Scott Burcham, who was playing in his first game of the season, knocked in the winning run with a single in the eighth. Trevor Kelley (0-2) took the loss, committing two errors during the eighth inning. Wes Rogers reached on a sacrifice, throwing error by Kelley, enabling the final two runs to score. Jason Garcia (2-1) allowed two inherited runners to score in the eighth inning but earned the win. Scott Griggs pitched a perfect ninth for his second save of the year. Hartford took a 3-0 lead in the third inning on a three-run homer by Dom Nunez. The homer was the second for Nunez, and the second allowed by Dedgar Jimenez this season. In the fourth, Burcham delivered a two-out RBI double off the right-field wall, giving the Goats a 4-0 lead. 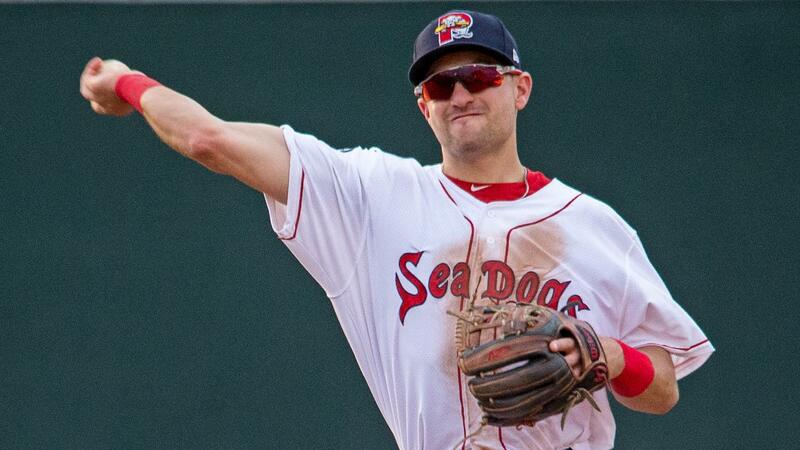 The Sea Dogs rallied back, scoring two runs in the fifth and sixth. Jeremy Rivera and Cole Sturgeon provided RBI's in the fifth. In the sixth, Nick Lovullo (reached base four times) crushed a two-run homer, his first in Double-A and just the third of his career. Hartford took a 6-4 leadoff Daniel McGrath in the sixth on RBIs by Omar Carrizales and Rogers. Austin Rei tied the game in the eighth inning with a two-run double. Sturgeon did not reach base, snapping a 28-game on-base streak. The Sea Dogs and Hartford Yard Goats (Rockies affiliate) wrap up their four-game series on Sunday afternoon with a 1:00 PM start at Dunkin' Donuts Park. Matt Kent (0-0, 0.00) makes the spot-start for Portland. Hartford has Jesus Tinoco (3-2, 4.39) on the hill. Radio coverage with Mike Antonellis begins at 12:50 PM on the U.S. Cellular Sea Dogs Radio Network. Portland's next homestand is May 10-13 against the Binghamton Rumble Ponies (Mets affiliate). Tickets can be purchased at seadogs.com or 207-879-9500.